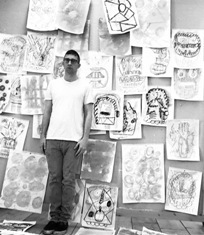 Chicago-based artist William J. O’Brien works in multiple mediums but is perhaps best known for his work in ceramics. 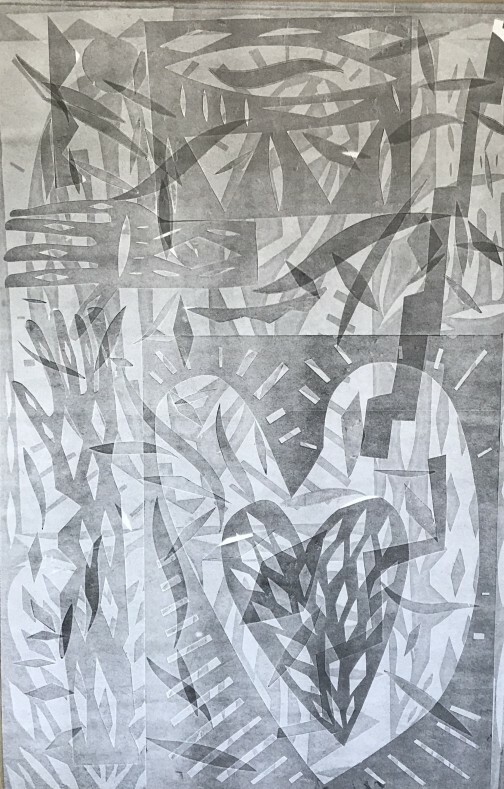 The artist’s practice often begins with drawing and two-dimensional compositions that reflect a playful exuberance that drowns out both sentimentality and hyper-intellectualism. 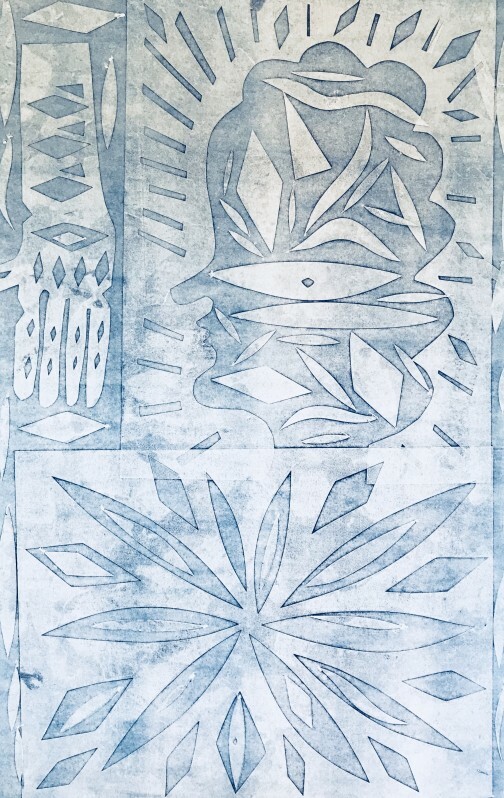 During his stint at Aurobora, O’Brien found himself shuttling from the bed of the intaglio press to the studio drawing tables creating complex compositions that have an affinity with both the automatic drawing of the early Surrealists, while evoking 60’s psychedelia. 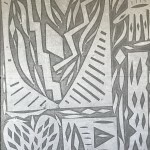 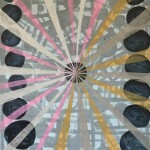 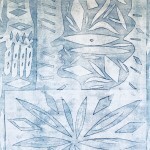 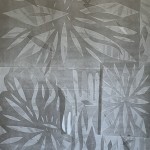 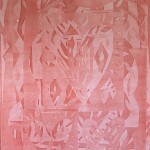 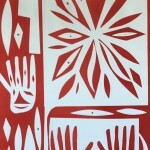 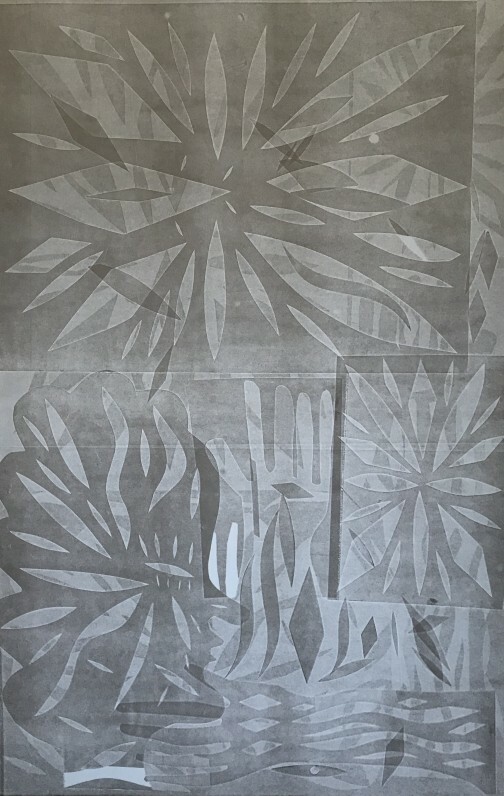 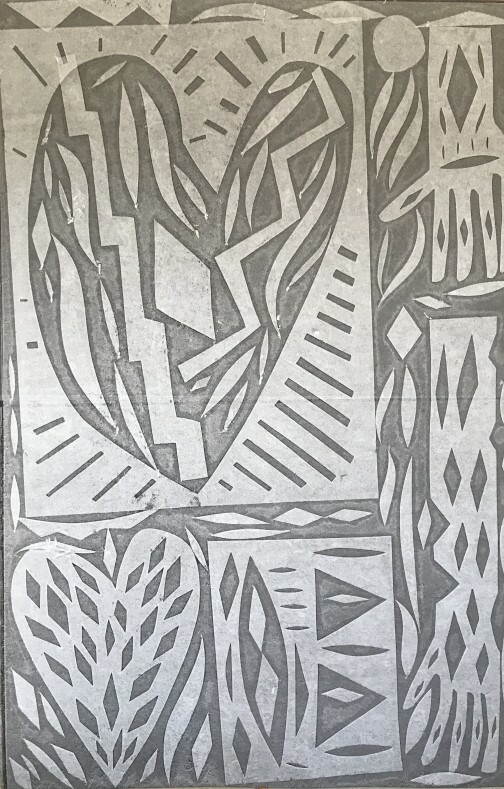 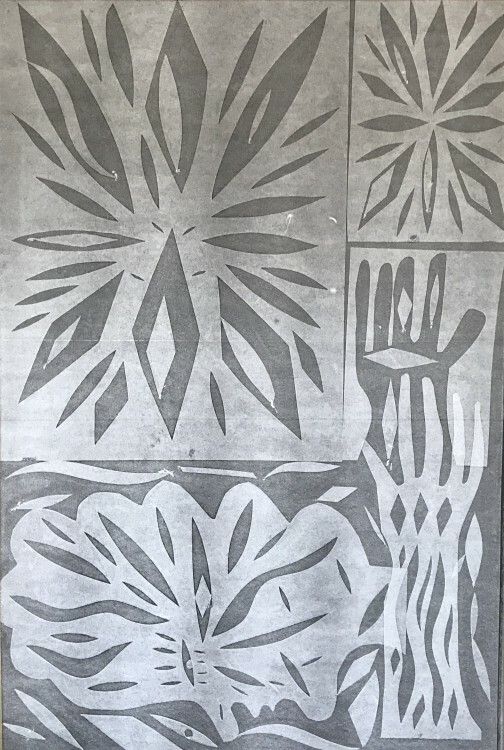 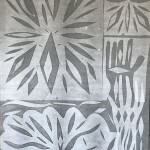 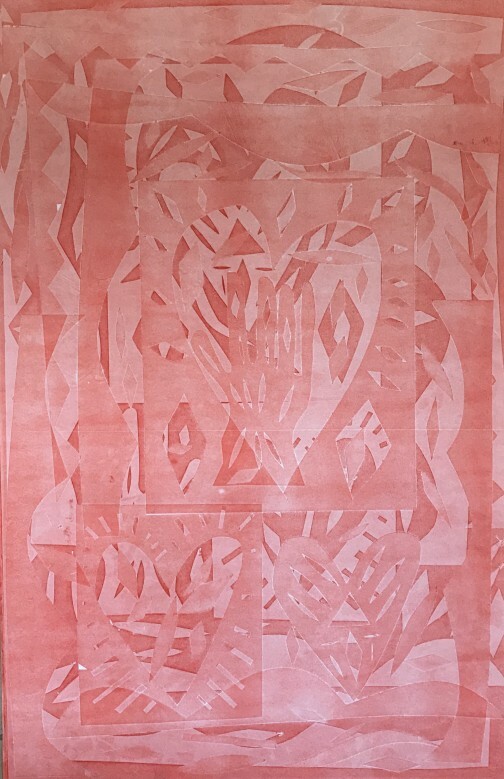 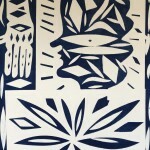 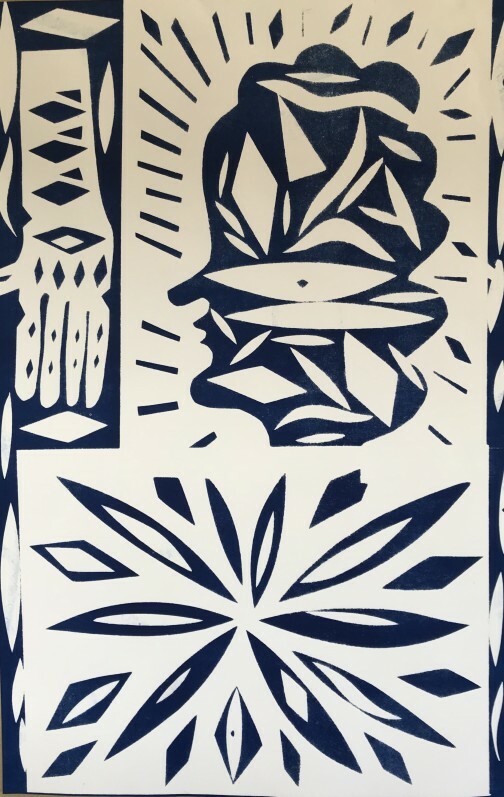 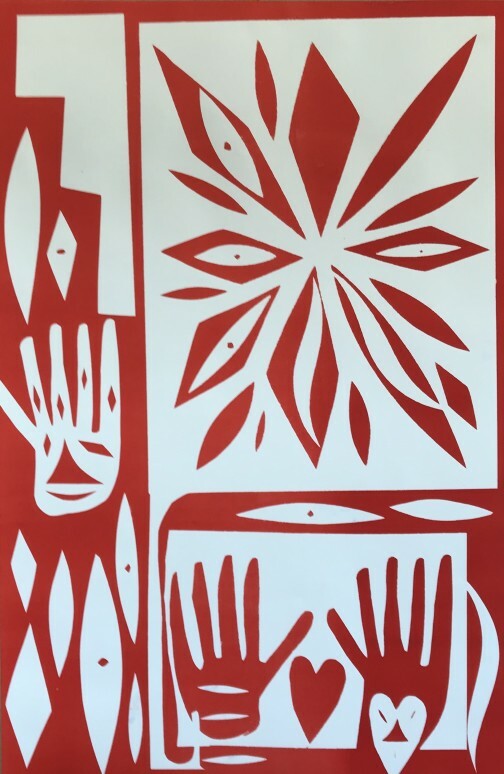 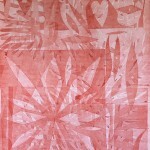 Multiple print passes, stencils, handwork drawing with pencil and ink underpin the way O’Brien attends to his choice of materials while subverting their traditional applications. 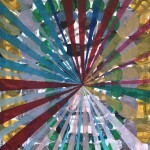 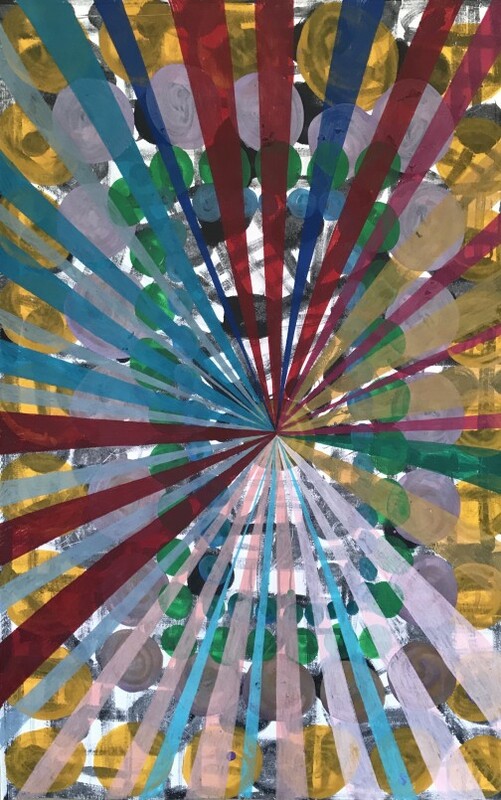 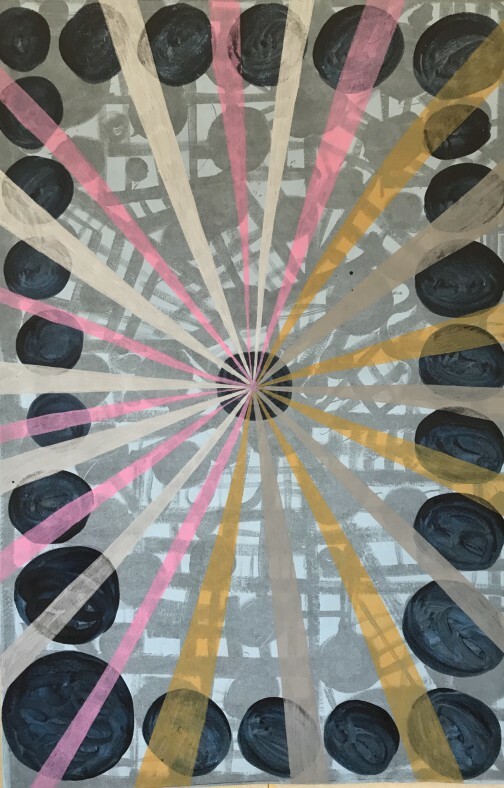 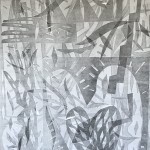 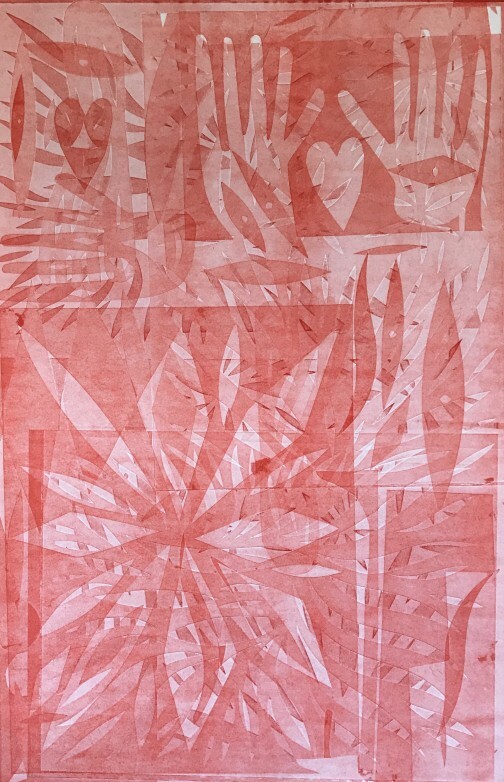 These unique works on paper evidence O’Brien’s ability to connect personal, disparate narratives with improvisational gesture and control–where color, pattern, line and shape collide within his compositions to create a visual refuge for the viewer.